1. The first Chess game between space and earth was played on June 9, 1970 by the Soyez-9 crew. The game ended in a draw. 2. Judit Polgar, at the age of 9 in 1986, won the unrated section of the NY Open, winning 7 games and 1 game drawn. At 11 she was rated 2350 and earned an International Master title, younger than Fischer or Kasparov. At age 12 she was rated 2555 and was awarded the Woman Gm title. At 13 she was the FIDE’s highest rated woman. Grandmaster at age 15 years, 4 months, and 27 days. 3. In the match between Britton and Crouch in 1984, the Black player did check his opponent forty three consecutive times! 4. The record of moves without capture is of 100 moves during the Match between Thorton and M. Walker in 1992. 5. The Chinese Emperor Wen-ti executed two foreign Chess Players after learning that one of the pieces was called ‘Emperor.’ He was upset that his title of Emperor could be associated with a mere game and forbade the game. 6. The longest time recorded for a Chess player to make a move, goes to the International Grand Master Trois from Brazil with 2 hours and 20 minutes on the 7th move. 7. The number of possible ways of playing the first four moves per side in a game of Chess is 318,979,564,000. 8. The first mention of Chess in America occurred in the year of 1641 in Esther Singleton’s history of Dutch settlers. The first American Chess tournament was held in New York in 1843. 9. During the 1972 Fischer-Spassky match in Rekjavik, the Russians linked Spassky’s erratic play with Fischer’s chair. The Icelandic organization put a 24-hour Police guard around the chair while chemical and x-ray tests were performed on the chair. Nothing unusual was found. 10. The first Computer program that played proper Chess was written at MIT by Alex Bernstein in 1959. The first Chess tournament in which the only players were Computer programs was held in New York in 1970. 11. BELLE, the first Computer awarded the title of U.S. Chess Master, in 1983. BELLE won the 1980 World Computer Championship in Linz, running on a PDP 11/23. BELLE was created by Ken Thompson and Joe Condon. 12. Albert Einstein was a good friend of World Chess Champion Emanuel Lasker. In an interview with the New York Times in 1936 Albert said, “I do not play any games. There is no time for it. When I get through work I don’t want anything which requires the working of the mind.” He did take up Chess in his later life. 13. The Police raided a Chess Tournament in Cleveland in 1973, arrested the Tournament director and confiscated the Chess sets on charges of allowing gambling (cash prizes to winners) and possession of gambling devices (the Chess sets). 14. Anatoly Karpov, the first world champion to win the title without playing a Chess match. He got the title in 1975 when Fischer refused to defend his title. Anatoly became a Candidate Master at the age of 11, a Master at 15, an International Grandmaster at 19, and World Champion at 24. 15. Frank Marshall (1877-1944) was the first American to defeat a Soviet player in an international tournament in New York, 1924. He reigned as U.S. Champion for 30 years, but only defended his title once when he defeated Ed Lasker (5-4) in 1923. He was the first master to play more than 100 games simultaneously. 16. The youngest Master was Jordy Mont-Reynaud at 10 years, 7 months (1994). The oldest player to become a Chess Master was Oscar Shapiro, at age 74. 17. Mephisto Portorose, is one of the strongest commercially available Chess microcomputers. In 1990 defeated Karpov, Huebner, and Bronstein in simultaneous exhibitions, won the West German blitz championship, and earned an International Master (IM) norm by scoring 7-4 in the Dortmond Open. 18. The first child prodigy of Chess was Paul Morphy. He learned the moves at the age of 8 and beat the strongest players in New Orleans at 11. 20. The word tabiya used to refer to the initial position, however, over the years it has come to describe critical points during play at which players decide the future course of the game. 21. 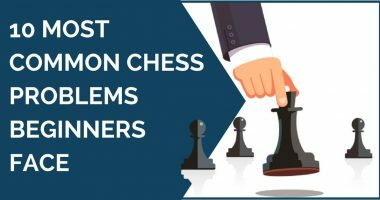 FIDE uses the category rating of tournaments to determine how well someone must do in a tournament to achieve a Grandmaster (or other) title. The highest category tournaments seen so far have been category 22. This indicates that the average elo rating of the players was between 2776 and 2800. The 2010 Bilbao Masters had an average rating of 2789 while in second place was a tournament in Frankfurt with an average rating of 2781. 22. Russia has the most grandmasters of any other country, totaling 156 GMs. Germany is second with 61 and the United States trails with 60. 23. Gustav Neumann won all 34 of his games at the aforementioned Berlin 1865 tournament. 24. At the Linköping 1969 tournament, Friedrich Sämisch lost all 13 games by exceeding the time control. 25. Between October 23, 1973, when he lost a game in a Soviet championship, and October 16, 1974, when he lost to Kirov at the Novi Sad tournament, Mikhail Tal had a string of 95 tournament games without a loss (46 wins and 49 draws). 26. Thirteen players tied for first with 5–1 scores at the National Open held on March 17–19, 2000 in Las Vegas: grandmasters Jaan Ehlvest, Alexander Goldin, Alexander Baburin, Pavel Blatny, Eduard Gufeld, Yuri Shulman, Alex Yermolinsky, Gregory Kaidanov,Dmitry Gurevich, Alexander Stripunsky, and Gregory Serper, and International Masters Rade Milovanovic and Levon Altounian. 27. On the July 1972 FIDE rating list, Bobby Fischer’s rating of 2785 was 125 points ahead of the second-highest rated player, then-reigning World Champion Boris Spassky (2660). Kasparov’s biggest lead at his peak was 82 points in January 2000. 29. In 1922, José Raúl Capablanca, the recently crowned World Champion, played 103 opponents simultaneously in Cleveland. He completed the exhibition in seven hours, scoring 102 wins and one draw (99.5%), the best result ever in a simultaneous exhibition on over 75 boards. 31. Miguel Najdorf played against 45 opponents in a simultaneous blindfold exhibition given at Sao Paulo in 1947, winning 39, losing 2 and drawing 4 games (after a similar display in Rosario, Argentina, in 1943, against 40 players). Later Janos Flesch (52 games) claimed to have broken this record, but his exhibition was not properly monitored and so it was not recognized. A comment about item 22. Although the United States has the third most grandmasters with 60, almost all of them were born in the Soviet Union or Eastern Europe. Few were born in the USA. Here is a comment about item 2. I was present and watched the game as it was played. Her parents were hoping to keep it a secret that she had won this large cash prize. They did not want anybody to know how strong Judit really was. She was really master strength at age 9. They were hoping that she would win more large cash prizes like this one. They were upset when the following morning a headline appeared in the New York Times, CHESS PRODIGY, 9, BEATS 7 ADULTS IN TOURNEY By HAROLD C. SCHONBERG Published: April 7, 1986. That article blew her cover and never again was she allowed to play for a class or an unrated prize. Thanks Manoj Kumar Agarwal and Luke Smith!